The final numbers for home sales in the Birmingham and Shelby Co. area during 2007 are in, and guess what? Total residential sales in the Birmingham and Shelby Co. area during 2007 were the second best ever recorded. For the year, 17,476 transactions were recorded, or about seven percent below those of 2006, which, by the way, was the best year ever for sales, according to the Birmingham Association of Realtors. For single family home sales, 2007 was the fourth best year ever, BAR said. Meanwhile, sales during December, 2007, totalled 12,642 … that’s 19% lower than sales in December, 2006. The average price of a home sold in 2007 was $198,240, virtually unchanged from the 2006 average of $198,340. So, what’s the point? While there are so many reports about the plunging real estate market, the numbers in central Alabama tell a decidedly different story. Birmingham is fortunate. Unlike many other American cities, housing market fluctuations here are much less extreme, leading many real estate analysts familiar with this market to describe it as quite stable. Some of the reasons for this include the economy, boosted by low unemployment. What’s ahead for 2008? With a large amount of inventory still available in a variety of styles, prices and areas, and excellent mortgage rates available–we saw 5% on a 30-year fixed just this week–there’s every indication that the Birmingham and Shelby Co. markets will stay very healthy through ’08. Countrywide Buyout: Who Wins, Who Loses? Countrywide, whose shares have lost more than 85% of their value since May, 2007. Sale price: $4 billion. Actually, one could say that you are helping finance this venture. Read on! Chances are that Angelo Mozilo, Countrywide’s co-founder, probably won’t have to scrape by too badly whenever he leaves the company. He took home more than $48 million in compensation during 2006. Depending on the circumstances of Mozilo’s departure, he could wind up getting tens (if not hundreds) of millions of dollars in other compensation and perks, based on obligations made when Countrywide was doing well. His severance package, negotiated before the buyout, included use of the company’s aircraft, office space, payment of annual country club dues and a payment equal to the excise tax charged to him as a result of certain benefits. You. That’s right. Bank of America, which is healthy and profitable, will be able to deduct some of Countrywide’s losses from its taxable income. That means U.S. taxpayers will take the hit. How much are we talking about? Possibly half a billion dollars over the first five years, according to tax expert Robert Willens. And what about the people holding Countrywide mortgages … how will they come out? Some financial experts predict they will wind up in better shape as a result of the deal. That’s because Bank of America, unlike Countrywide, stayed away from the subprime lending market and, as a result, was largely insulated from the kind of loans that got Countrywide in so much trouble to start with. Bank of America, some predict, might restructure some of those loans or even convert them to prime loans, something Countrywide was unable to do. Bank of America has already publicly stated that it will not be originating any subprime loans after the merger is completed. Others in the financial industry don’t share as optimistic a viewpoint about the merger’s effects on existing loan holders.Â They say the buyout may mean little more than a change in name. Alabama continues to be a popular place to call home, especially among Americans saying ‘adios’ to the Great Lakes area and heading south. According to United Van Lines, Alabama is the fifth most popular destination, based on a survey the company did of 212,917 interstate moves the firm handled during 2007. And just where are folks leaving from in the greatest numbers? According to United, Michigan was at the top of the departure list, followed by North Dakota, New Jersey, New York, Illinois, Indiana and Wisconsin. When it comes to making major purchases like buying a home or car, your credit rating plays a big role. The credit industry plans to change the way it evaluates us in determining our creditworthiness. The changes , which take effect this year, promise to be good for some, and not so good for others. 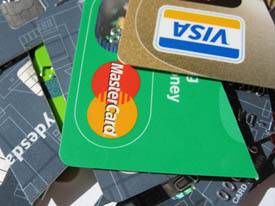 What do the changes mean for your own creditworthiness rating? We asked First Federal Mortgage Loan Officer KC Haririan to stop by and give us a look at the new system, called FICO-08. KC talks about the new scoring system, as well as who stands to be affected the most by the changes. FICO-08 is the subject of our first Call on Colleen Netcast for 2008, along with a few thoughts about Shelby County’s real estate market for 2008. Click the player button just below to listen right now.Â Or, click this link to download. 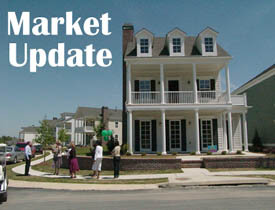 … 388 were in Alabaster, where the average price is $220,614, and the Average Days on Market is 115. A few other notes of interest: You can find prices above one million dollars in each of the three cities mentioned above. The highest active listing price in Helena was $1.495 million, $1.25 million for a listing in Pelham, and Alabaster had one property priced at $1.5 million. There was a time when million dollar properties were not likely to be found in those areas, but no longer! Source: Birmingham Area Multiple Listing Service, Inc.